Public Relations (PR) is a dynamic field that aims to build efficient communication between companies and their stakeholders, in order to maintain a positive name for organisations in the market. In today’s intensely-competitive scenario, there is a compelling need for firms to maintain a healthy reputation in the market, which in turn determines their success in the long run. This blog post provides a sneak-peek into the types of Public Relations tools and how these help organisations in setting themselves apart from their competitors. Scores of firms are now employing Public Relations to meet their publicity needs as well as establish a resilient and sturdy foothold in the business landscape of the country. Given below are the cutting-edge tools and techniques that are the major pillars without which PR of any kind is impossible. Press Releases: Through Press Releases, the vital information related to companies is communicated effectively to the target audience. The press releases are then given to be published in various newspapers and magazines. 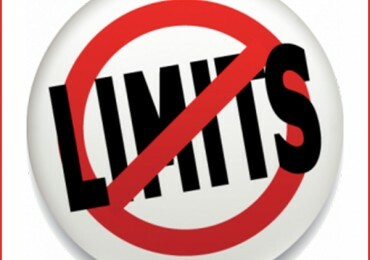 This escalates the media visibility of organisations, helping them attract consumers’ attention. Blogging: With the emergence of online media, blogs have become one of the most lucrative ways to enhance the online media presence of companies. With scores of people using the digital platform nowadays, blogging has emerged as a path-breaking way to build and maintain connection between companies and their stakeholders. Media Relations: Public Relations uses Media Relations to create sturdy, persistent and professional relations with all sorts of media. These relationships work in the favour of companies as the cumbersome task of providing firms with enough coverage then becomes a cakewalk for PR firms. This is one of the most important types of Public Relations tools that help a Public Relations agency in retaining healthy relations with the media over an extended duration. Newsletter: Mailing newsletters to customers and various other stakeholders is one of the best ways to be in regular touch with them. Newsletters are usually loaded with vital information so that it serves the purpose of making patrons aware of the important announcements or new launches of the company. PR firms strive to make newsletters fun and interesting to read, in order to grab the attention of readers and position the brand in their minds. Social Media Marketing: Companies have started resorting to Social Media Marketing to establish their footprint in the rapidly developing digital landscape of the country. It has now become important for companies to establish an effective two-way communication with the tech-savvy generation of today. Hence, PR firms opt for Social Media Marketing to market companies and their products on the thriving social media platforms. Social media platforms like Facebook and Twitter are used by PR firms to be in touch with the target audience and to enhance the visibility of the brands. Employee Relations: Employees are the goodwill representatives of any organisation. Therefore, it’s essential to maintain good terms with employees and keep them informed about all the products and services of the company. 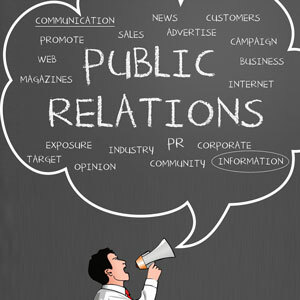 The aforementioned types of Public Relations tools among others are used by PR companies to deliver impeccable Public Relations services to their clients like positioning and repositioning brands in the market, increasing their media visibility and ensuring multi-dimensional communication. Apart from this, they help in providing strategic counselling to companies for formulating strategies that are in sync with the organisation’s vision and mission. Also, Public Relations companies deliver interesting and engaging content to attain top-of-the-mind brand recall for their clients and establish consistent communication channels with the stakeholders. In a nutshell, PR agencies serve as the mediator between companies and their target audience. Fostering the relationship between enterprises and their stakeholders, PR firms shield companies from negativities and help them earn positive media visibility to build a resilient reputation in the market.